Mercedes boss Toto Wolff has hailed the progress made by his F1 team since the Belgian Grand Prix. Mercedes boss Toto Wolff has praised the “big step forward” his Formula 1 team made following the Belgian Grand Prix, adding it has been the key to recent performance gains. Ferrari’s convincing victory over Mercedes in Belgium in August led to suggestions the Scuderia had become the clear favourites in the battle for the 2018 world championship, given its apparent engine advantage over the reigning world champions. But Mercedes has gone on to claim four straight victories since Spa, including dominant performances at the last two rounds in Russia and Japan that has enabled Lewis Hamilton to move to the brink of sealing a fifth drivers’ world title. “We have made a big step forward since Spa,” Wolff said. “Monza, Singapore and now here are three very different tracks, and we took it as an ambition to perform on all three to prove to ourselves that we are capable to deliver a car on every sort of track. “[Whether it’s] the high-speed Monza race track; twisty, hot Singapore city circuit; and then Suzuka, which has a little bit of everything. I think now we have the car in a really good position. Mercedes has moved almost 80 points clear of Ferrari following four consecutive victories and stands on the verge of clinching its fifth consecutive drivers’ and constructors’ championships since the V6 hybrid era began in 2014. 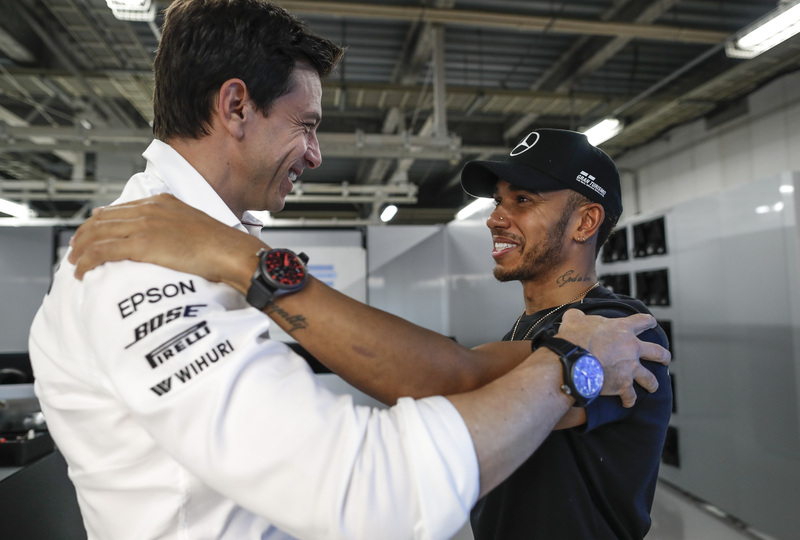 Wolff said a combination of development, analysis and research in a strengthened push in the wake of its defeat to Ferrari spurred Mercedes’ recent charge. “It’s obviously a combination of developments that are in the pipeline, and that takes a long time, but equally finding clues,” Wolff explained. “I was just discussing that with the engineers about an email I sent after Spa where we said we are just not giving up, because this is not a championship we are going to lose. “We need to understand why we have been outperformed. So it is development, research, analysis, mindset, work ethic.